When political leaders dance to the tune of foreigners and intellectuals run behind the INGO funds, then it is sure, the country and people will suffer. The same has happened in Nepal. Just recently, Bangladesh, a youngest country in South Asia, celebrated the event of upgrading the country from the group of less developed countries [LDCs] to the group of developing countries. Contrary to that, our government has requested the international community for keeping her at the status of a less developed country. Nepal is a rich country having plenty of natural resources. We are yet to harness natural resources. Our leaders are running behind foreigners’ design, and thus, we have become a backward nation. When British ruled in India, they exploited Indian natural resources by importing raw materials from India to Britain and exported final products to India. The Indians has thus adopted the same policy while maintaining relations with her small neighbouring countries, including Nepal. Indians are not keenly interested in infrastructural development in Nepal. Westerners too want to keep Nepal an undeveloped country by spoiling our so-called political leaders and intellectuals by involving them in NGO/INGO business. Understandably, it is easy to exploit us if we are underdeveloped and poor. Making Nepal a prosperous nation is a good idea and there is no objection of the Nepali citizens on this. But how to make Nepal a prosperous nation, we are divided. There is rampant corruption in each and every sector, even though, all of us have remained silent. Every year, thousands of youths go abroad for further study. They take foreign currency from the country to complete their study. In this way, through official or unofficial channels, trillions of Nepali rupees worth foreign currency is being spent by the Nepali students abroad. Why not we develop educational hub within the country so that foreign students come here for quality education, this scribe is unable to get answer from anybody else. Many Nepali kids are studying in Darjeeling and Dehradun. For graduation and post graduation courses, Nepali students are going to Madras, Mumbai, Delhi and other parts of India. Thousands of students go to the US, Canada, Australia, UK, Japan, China, among other countries for their study. 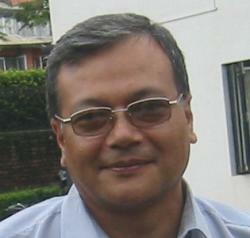 Thousands of educational consultancies are in operation in Kathmandu and other cities. If the government will give focus on quality education within the country and discourage students from going abroad for their further study, we can save billions of rupees worth foreign currency for their study. If we will be able to provide better standard education at low price compared to the Indian cities, students from other countries will come to Nepal for their study. Thailand and Singapore have been developed as medical hub. Westerners visit these countries for treatment as it is cheaper compared to the medical expenses in their own country. Even our political leaders who are enjoying power, go to these countries for treatment. If Nepal will be able to provide advance and better medical service, surely, foreigners will visit Nepal for their treatment as comparatively our currency is cheaper. If we will be able to provide quality medical education, foreign students will come here to study medical science. Contrary to that, our so-called experts say, it is impossible. Currently, Dr Gobinda KC has staged his 15th fast onto death in Jumla against the government attempt for endorsing medical education bill from the parliament. His slogan is very attractive as he has demanded for guaranteeing poor people’s reach on quality health service. His prediction is that there is no need to open new medical science colleges in Kathmand, rather, the government should run medical institutions in remote parts of the country. Already, there is medical institution in Jumla but qualified teachers and also students don’t go Jumla for education. Thus far, billions worth government investment in Jumla has become a waste. Again, the so-called experts are saying that if opened medical colleges without any study, there will be excessive flow of medical doctors then the need of the nation. Can’t they think about developing Nepal as a medical hub for cheap and quality medical destination for foreigners? If we will be able to provide international standard education, the students produced by such institutions can get foreign job as well. So far, there should not be compromise on quality and standard of education. The government has developed a task force to restart Hetauda Textile Industry in association with the Nepal Army. The Nepal Army argument is appreciable that it wants to produce clothes needed for the Army personnel and also for the local consumer by resuming this already closed factory. Nepal Army wants to utilize the reserve fund with the Nepal Army Welfare Fund. We can assume benefits from reopening of a textile factory that it will obviously create employment opportunity for several hundred people, it will help to substitute imports of textiles from abroad. However, those people having negative mentality in our society have started to say that the Nepal Army job is not to do business. Is this the path towards prosperity? Yes, on the financial aspects, the Nepal Army image is not clean. How the Army will perform in a transparent manner, it is upto the Nepal Army leadership and if the Nepal Army will also start to run after corruption and commission, the highly respected institution will also be spoiled. Therefore, the Army leadership has to work out seriously for establishing its clean image along with its responsibility towards safeguarding national unity and sovereignty. The other day, industry minister Matroka Yadav wanted to reoperation of the Janakpur Cigarette Factory. In reaction, banner headlines were appeared in broadsheet dailies saying that the government has planned to run cigarette factory by allowing to run medical institutions to the private sector! If so, only the private sector, that too, importing all the raw materials from India and doing just packaging works in Nepal to be allowed to run the cigarette factories? Thousands of local people will get employment if resumed the factory in Janakpur. Also, if encouraged farmers to produce raw tobacco, that will also help the farmers financially. Not to forget, two and a half decades ago, the Janakpur Cigarette Factory was the highest tax-paying factory in the country. The minister had also wished to reopen Gorkha Rubber Factory but the task force formed to study on the condition of the factory reported that reoperation of the factory will not be economically viable. They don’t think towards making such projects economically viable, as the Indian monopoly market on tyres will be ended! Not to forget, during the Panchayat days, the factory was exporting Nepali tyres to India, Bangladesh and Sri Lanka also.